Even at a site full of die-hard Android users, we’re big enough to admit when a competing platform has a cool feature, and Airplay certainly falls in to that category. The feature allows iPhones and iPads to instantly stream video and audio to compatible devices, sort of like DLNA. 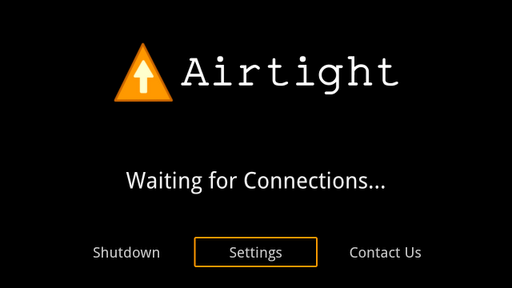 Now that functionality has been extended to Google TV, by way of a GTV app known as Airtight. It’s currently priced at 99 cents in the Android Market, though naturally you’ll need Google TV hardware to see it. Basically, the app fools any nearby Apple devices into thinking that the Google TV hardware is really an Apple TV. This allows any iPhone, iPad or iPod to stream video and audio directly to Google TV, though sadly DRM’d content (any video purchased from iTunes) won’t play. Mirroring, where the same video is played on the device and the TV, is also out for now. Naturally both devices must be connected to a local WiFi network for the transfer to function, and you’l need an update to Android 3.2 before you can use the Market on your Google TV device. The app was only posted to the Android Market yesterday, so expect a few bugs at this point. For a start, music isn’t supported, though the developer says that he or she is working on it. A paid app that’s basically a public alpha might rub some the wrong way, but it is just a dollar – not much for an impressive technical feat. Other apps by “Yossie” come highly recommended, so expect some timely feature updates soon.